Employers who are sued for this violation often try to defend the case by arguing that the case must fail because the terminated employee was “at-will” and could have been terminated at any time any way. This argument ignores the fact that at-will employment allows employers to terminate an employee for any lawful reason; not an illegal reason. Therefore, at-will employment is not a defense to firing someone to avoid paying them wages due. 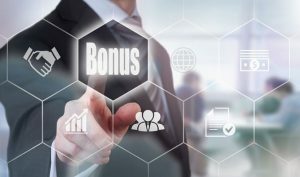 The other common defense used by employers in these types of cases is the fact that their bonus structure is subject to change at any time. However, this policy cannot allow an employer to forfeit the bonus earned prior to making any changes, so this isn’t an effective defense either.